Join the staff of the Delaware Riverkeeper Network for a bike ride along the Delaware River on Saturday, October 6th (rain date: October 7th) begining at 9:30 AM. 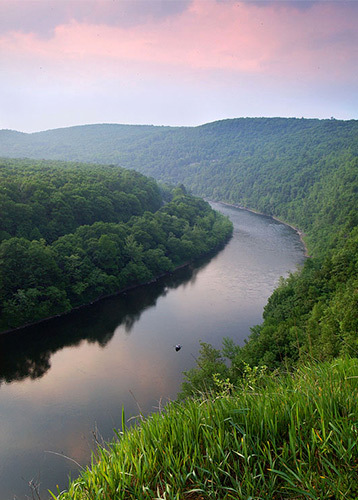 This trip is a great opportunity to get out into the Watershed, take in the beautiful views of the Delaware River, and learn about the issues we are working on to protect the River and its communities. After the ride we will provide a small picnic with food and refreshments, a drawing for prizes, and great conversation with other members and DRN staff! Riders will have the option of a 7-mile, 18 mile, or 25 mile ride. Don't miss this opportunity to spend an afternoon along the Delaware River with Delaware Riverkeeper Network staff and other like-minded individuals. The 7-mile ride is estimated to take approximately 1 hour. The 18-mile ride is estimated to take approximately 2 hours. The 25-mile ride is estimated to take approximately 2 hours and 30 minutes. The terrain for all three rides is mostly flat. Registration is required for this trip. Maximum occupancy for the race is 50 riders, so we suggest reserving your spot soon by registering. Would you like to support the River by fundraising for this event? You can raise funds as an individual or as part of a team. Individal riders who raise $200 in donations will have their ride registration fee ($25) waived. They will also receive a Delaware Riverkeeper Network T-Shirt. Any questions or to participate in individual fundraising, please contact Connor.